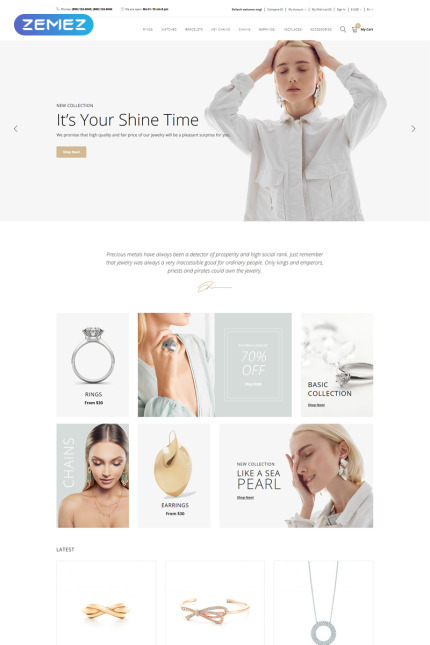 This Jewelry Store Clean OpenCart Theme has a stunningly clean, modern, and responsive design, making your future online jewelry store look cool and confident on any devices. 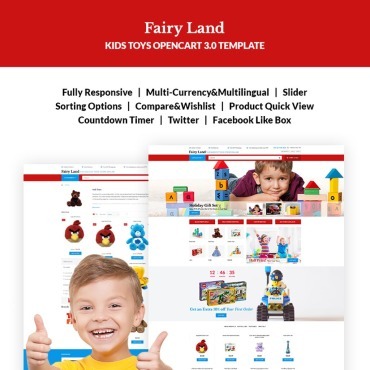 There are various built-in product page layout options. 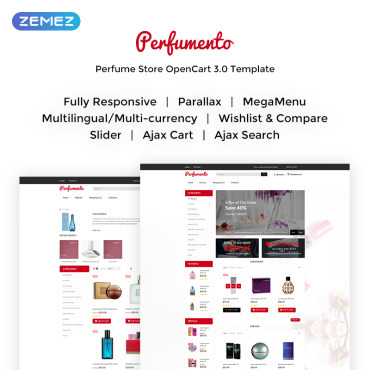 You can also make the main menu in your store as convenient as possible, by adding the necessary categories and subcategories of the items. 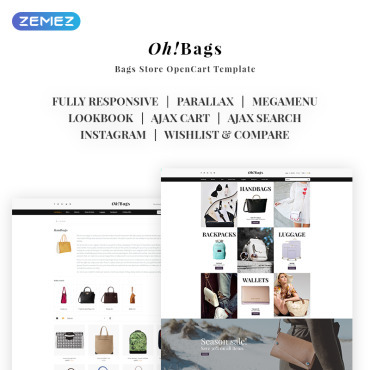 The theme provides all the necessary e-commerce arsenal so that you can easily set up your online store. The theme has also undergone various optimization and has compatibility with all modern browsers. It's also optimized for all the most common search engines.